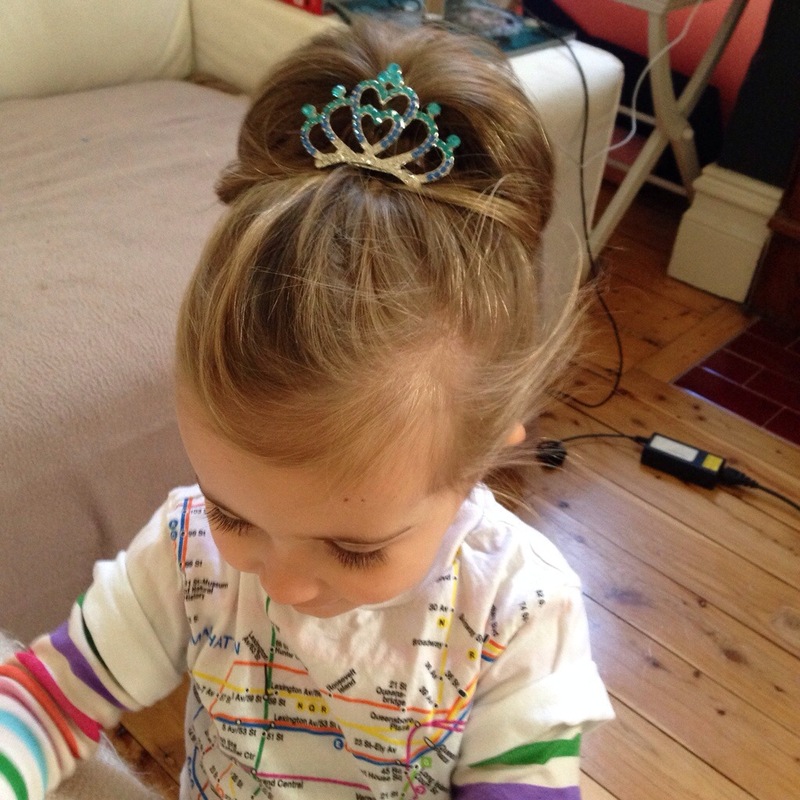 Love Bug decided she wanted to wear her crown hair piece to kindy yesterday. Rather than a crown requiring body guards to accompany her, it is a clip from the dollar store! 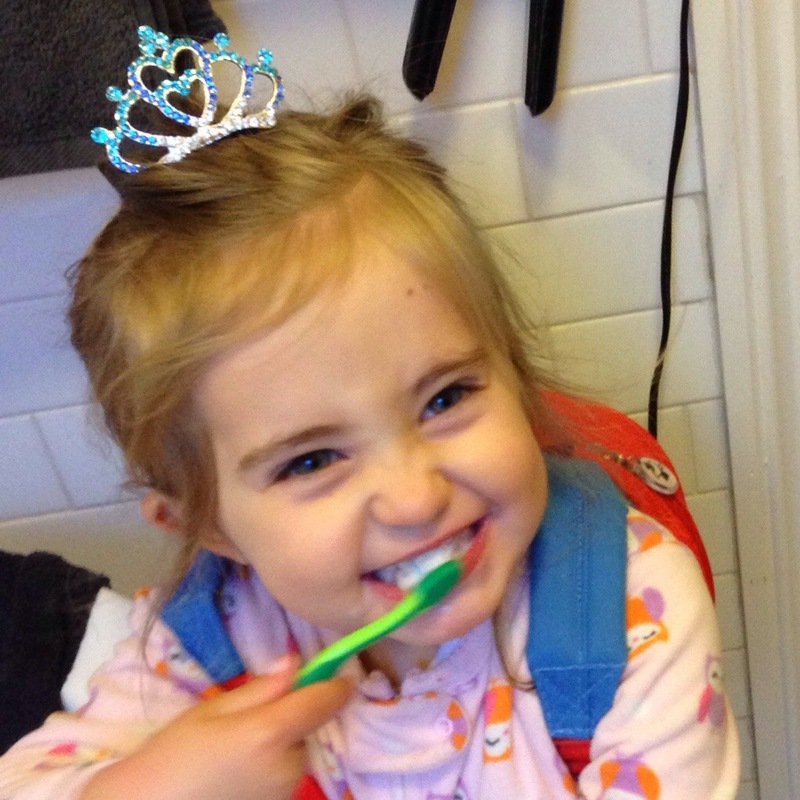 Before getting dressed, a girl needs to brush her teeth. Wearing pyjamas, a back pack and crown of course. What does a girl wear with her crown? A t-shirt with the New York Subway on it. Naturally. Crown Princess of NY perhaps? Funny kid. Oh, and yes, I do have hair envy. I mean, really? Previous Post Best. Photo. Ever. Ha! Yes. That IS some cute looking hair! The tiara clip is the perfect touch. Hey, I need me a crown like that too! Maybe then me and Love Bug could wear our crowns and eat cookies!